I hate having to shave under my arms and my legs, it just annoys me but I have to do it because unfortunately I also really hate having hair on my body (apart from my head) but this is just a personal preference of mine, I love that feeling of silky smooth legs after a nice shave but sometimes I'm left feeling the burn.... Recently I was sent a subscription box from Friction Free Shaving, a company that will send you out a months worth of razor heads plus razor. Pretty neat huh? You can literally get a subscription box for just about anything these days and one for all your shaving needs hasn't been left out. Friction Free Shaving have two razors on offer, Frankie & Samantha which both have different razor heads available, Frankie has the 3 blade heads with it which costs £5 per month and Samantha has 5 blade heads at £8 per month. It's a way to say goodbye to blunt blades because let's face it, I'm sure so many of us know just how that feels! 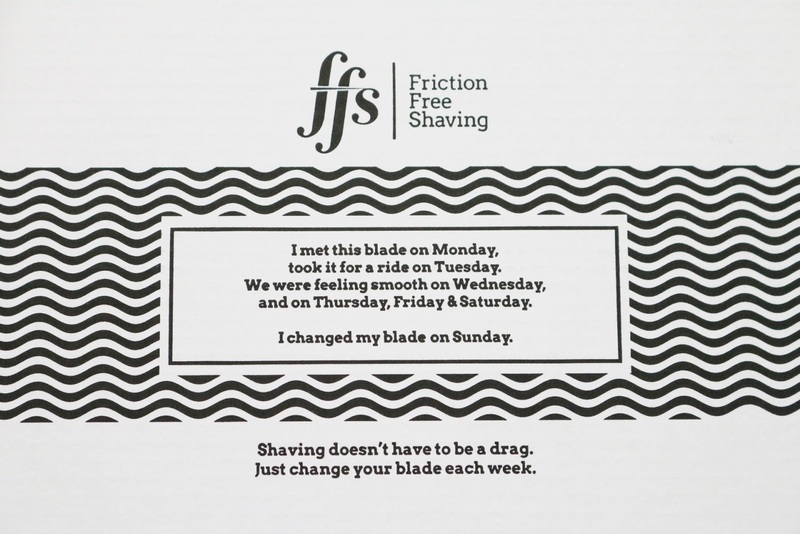 There are 4 blades in each box, one for every week to help keep your legs in tip top condition. 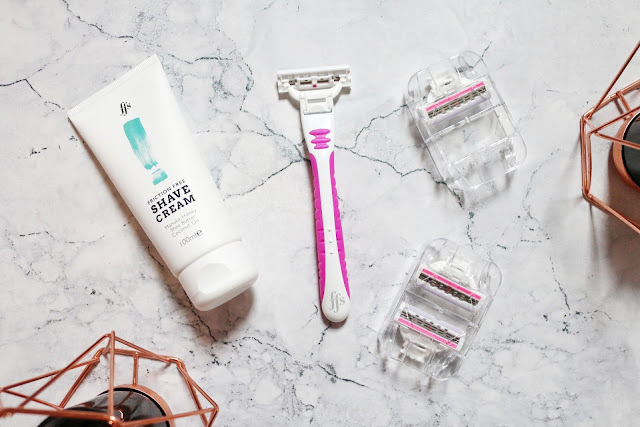 Their aim is to make shaving cheaper, easier and cleaner for us women to get our legs feeling silky smooth. Starting from £5 per month it couldn't be easier to keep on top of your blades where bacteria breeds! You would be surprised at how bad it can get " If someone shaved their legs everyday for a week (that’s dedication right there), that would be the equivelent of shaving a tennis court. Pretty epic right? And a wee bit grim. Bacteria and all sorts of nasty stuff gets built up in those blades, so remember: “Change your blades once a week, and your legs shall be smooth & sleek.” check us rhymin'! Read More "
These boxes have free P&P and no hidden costs! It's perfect for us women who enjoy a good shave. You also get the choice of wither or not to add on their very own Shaving cream which moisturises your skin and leaves your legs feeling AMAZING! This add on cost's an extra £6 on top of the box price but you don't have to choose it if you don't want it, although I do recommend it as it made my legs feel amazing and it was really easy to apply. 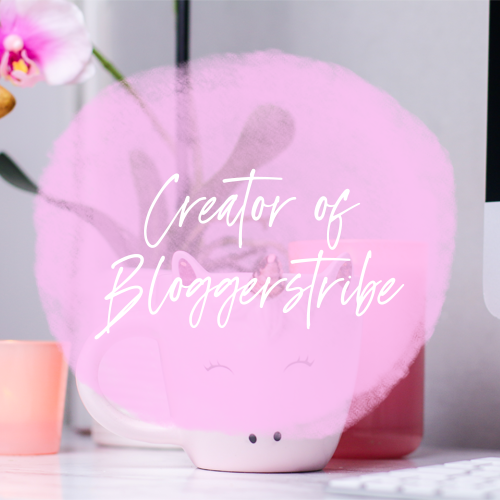 I will say that at first I was a little sceptical as it was just a cream, like rubbing lotion on my legs in the shower and it didn't lather which I wasn't keen on at first but after shaving my legs and getting out the shower my legs felt amazing! 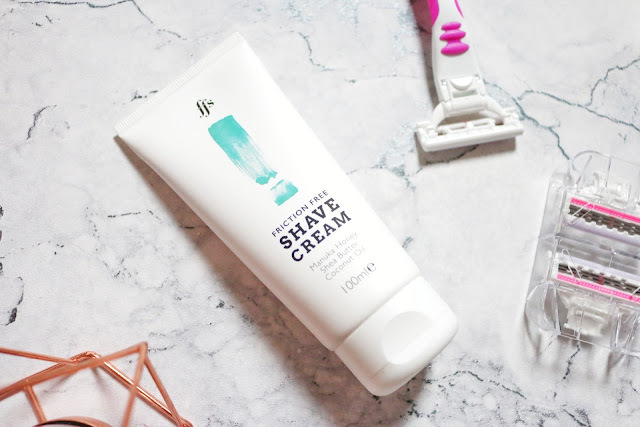 "Designed specifically for women and packed with moisturising Manuka honey, Shea butter and coconut oil, our shave cream gives your skin the treatment it deserves. 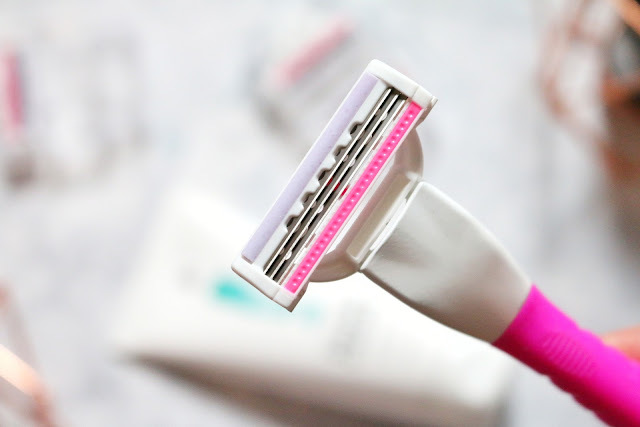 Its unique ‘cationic’ formula reduces friction so you get a closer shave and smoother skin. The transparent application provides maximum visibility and offers a new sense of control and closeness." For my box I chose Frankie as I love anything pink! I do however wish I chose Samantha as she looks super sleek and comes with 5 head blades.... silly me didn't even think twice when picking the pink one because, well, that's my favourite colour but in hindsight I would have picked Samantha. This being said though there's absolutely nothing wrong with Frankie, she has a good grip and the razor heads are pretty awesome to. I really love how weighted the handle is, it's one of my favourite things about this razor. The heads on this are really easy to change, clip on well and come off with ease. 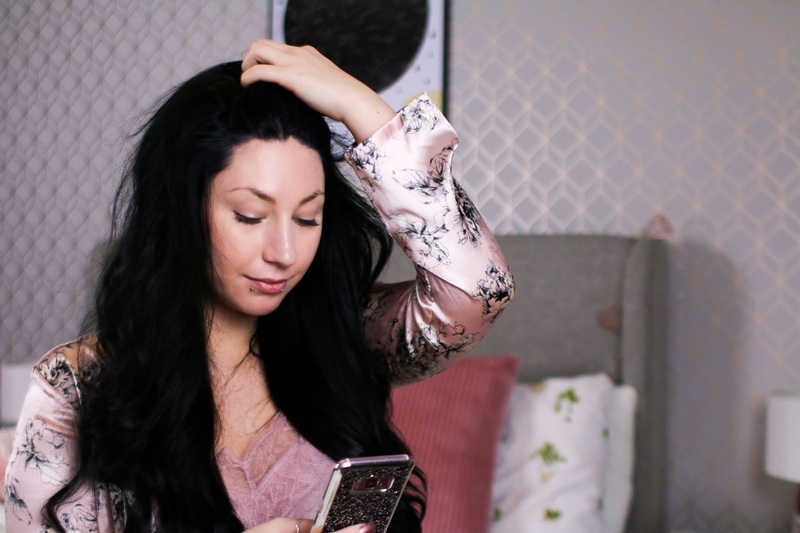 The three head blades are fab, they do the job, leave me feeling smooth, no hair is left behind. Hey chick, I’m Miss Dependable - you can always count on me. I’ve got three ceramic coated blades for an extra smooooth glide and a vitamin E strip to moisturise your skin. My wide soft rubber guard helps lift your hairs up, then my full 90 degree pivot head slices the little guys off. I know we’re going to get along - BFFFF’s? (that’s Best Friction Free Friends Forever, BTW)! I used to love subscription boxes when I lived in the UK. And this sounds like a great idea, if for nothing else than to remind us to change our blades. I'm guilty of forgetting until I feel the burn. I'm shaving alot more since moving to the sun and this is a great idea! 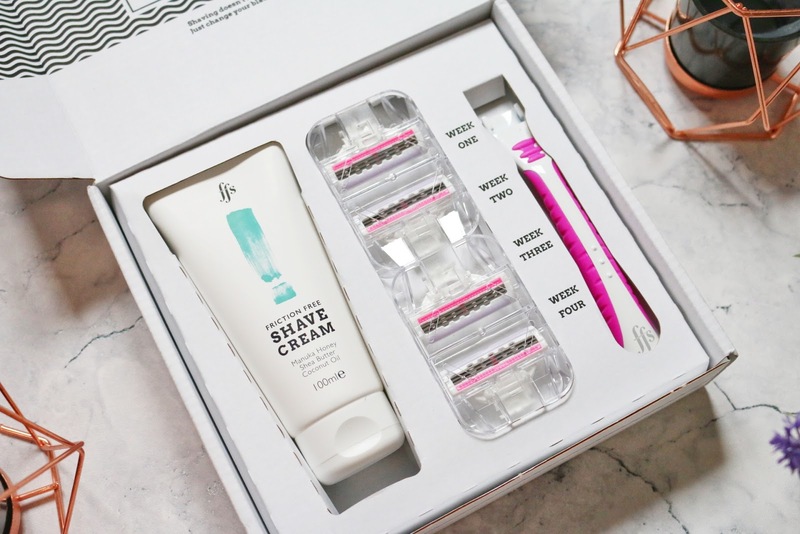 No way a shaving subscription box! I hate shaving so this would definitely help alleviate some of the pain involved in doing it. 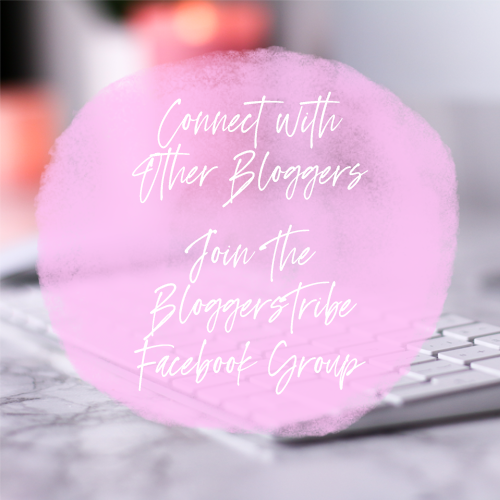 This is such a great idea for a subscription box! I'm so terrible at remembering to either change my blades or just being too lazy to go buy more! Plus it's chic and cute. This looks fab! I epilate my legs but shave my armpits, I had no idea about the bacteria ewwwww!